When Russian broadcast group CTC Media announced its third-quarter financial results this month, hidden among the figures was some positive news for Kazakhstan’s Channel 31. In the past three months, the channel recorded an all-time high average quarterly audience of 17.7%, strengthening its position as the second most-watched channel in the country. Viewing figures rose from 11.4% in Q3 2010 – a 55% year-on-year increase. 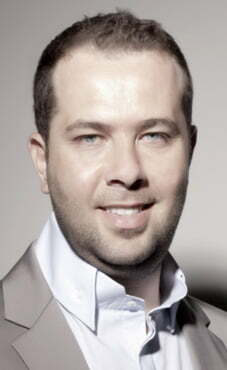 Anton Kudryashov, CTC Media’s CEO, said: “Growth in CTC Media’s other markets continue to exceed expectations, mainly due to a substantial increase in the average target audience shares of Channel 31 in Kazakhstan and the dynamic growth in scale and reach of CTC International and our new media activities.” Channel 31’s performance was put down to three factors: local productions, a strong movie line-up and the success of Turkish primetime series in its schedule. RTL Televizija in Croatia has also made a mark with Turkish drama. The popularity of TMC Film’s Binbir Gece (1,001 Nights), first shown on Kanal D, and crime drama Ezel, produced by Ay Yapim for diginet Show TV, helped spur the network to commission its first original weekly drama. The Windrose, produced by FremantleMedia’s Croatian unit, is currently on air. One reason for the success of Turkish scripted series in Croatia and Kazakhstan has been the audiences’ ability to relate to the culture and traditions they portray – which they are less likely to do with shows from the US, for example. This trend has sent another Turkish drama series, Ottoman Empire-set Magnificent Century, into almost a dozen countries worldwide since Istanbul-based distributor Global Agency began shopping it earlier this year. 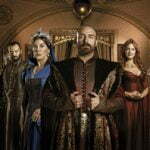 The series follows the reign of Sultan Suleiman, who ruled for 46 years during the 16th century, and his attempt to make the Ottomans invincible. The drama was given massive promotion at Discop Budapest in June, while characters from the show could also be spotted walking around the Palais de Festivals in Cannes during Mipcom. The show, from TIMS Productions, is in its second season on Turkey’s Show TV. However, in January it will transfer mid-season to another free-to-air channel, Star TV, following the latter’s takeover by Dogus Group, owner of the Turkish version of CNBC. Internationally, the first season has been picked up by Prva for transmission in Serbia and Montenegro, and by Kanal 5 in Macedonia. Viewers can also watch the series in Russia (Domashny), Azerbaijan (Lider TV), Slovakia (Markiza), the Czech Republic (Barrandov), Romania (Kanal D), Kazakhstan (Khabar) and Albania (Albanian Screen), while Dubai TV will air it in 22 Arab-speaking countries. Magnificent Century had a pre-production budget of €3.5m (US$4.7m), while €2m was spent on sets and costumes alone. , CEO of Global Agency, says: “Magnificent Century represents the first time a series made in Turkey has been given an international release. “When we launched it at MipTV earlier this year, we felt it would sell to a number of territories because not only is the story interesting but it’s a very expensive production from Turkey and has international quality. It’s been so popular because it’s based on a true story. It’s mostly about intrigue in the palace. They are all true events in history. It has even been sold to Romania, which is a very difficult market to enter and has never acquired a Turkish show before.” The success of Magnificent Century demonstrates the high production values now instilled in Turkish scripted series, Pinto says. The show was originally commissioned for a two-season run, though a third is believed to be in the planning stages. “It might have a third season but I don’t think more than that,” adds Pinto. “The series is based on true events, so after three years we will have the finale. There’s no doubt that Turkish drama is making its international mark, as the sales of Magnificent Century show. However, it remains to be seen whether this series will break out of Eastern Europe and on to Western screens, though that is certainly Pinto’s ambition. And if US networks can buy scripted formats from Israel and Colombia to adapt locally, why not Turkey?